I arrived to my appointment on time and I had to wait 3hrs. It’s totally unprofessional doctor. She literally was onrush and asked only one question even though it was my first time there. I don’t recommend this doctor at all. I arrived to my appointment on time and I had to wait 3hrs. It’s totally unprofessional doctor. She literally was on rush and asked only one question even though it wasmy first time there. I don’t recommend this doctor at all. Nice office and staff, but they were far too busy. If i'dve known l'd be waiting forever, i'dve come equipped withmy laptop. The doctor was very polite and efficient. She knew her stuff and l was in and out, after l finally made it to the back. Nice office and staff, but they were far too busy. If i'dve known l'd be waiting forever, i'dve come equipped with my laptop. The doctor was very polite and efficient. Sheknew her stuff and l was in and out, after l finally made it to the back. Dr. Kendall offers patients both surgical and nonsurgical alternatives. “We like to think of ourselves as one-stop shopping. When talking with patients, we go through the whole spectrum of alternatives but always recommend what we think will give them the best results,” she says. Commitment to quality and staying current with new technologies are principles that guide the 26-year cosmetic dermatologist in helping patients identify ways to reverse the aging process. She is also dedicated to concentrating on treatments that are proven to work. 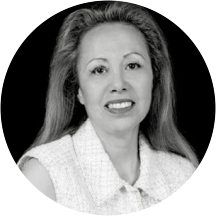 Facial rejuvenation is the most common procedure done at her practice, and she believes in tailoring her approach to each patient. By utilizing a combination of laser treatments, injectables like Botox® or soft tissue fillers such as Restylane®, photodynamic therapy, and topical treatments, Dr. Kendall is able to design customized treatment plans that leave her patients’ skin looking luminous and healthy. “I am very up-front with my patients, telling them what I can and cannot do. I’m always looking for what is going to yield the most-effective results in that particular patient,” she says. Dr. Kendall is a Mohs surgery specialist and is constantly educating her patients and members of the community. Her practice has worked with Univision, the Hispanic television network, to produce educational programs on skin cancer and psoriasis, and offers free consultations to patients to help them learn more about their condition and the available therapies. The front office staff was extremely unprofessional and I waited over an hour to see the doctor. They charged me a copay and were not sure if they should charge.. Doctor seems to be over-booked. The wait time to be seen was over an hour long, then once the doctor finally did enter the room (along with about 4 other members of her staff), she was rushing through the appointment, notletting me finish my sentences, quick to jump to conclusions, and spent time explaining and teaching some of the staff about the general procedure that she was following. I even had to stop her from leaving the room, because she was saying goodbye without even having done the procedure I was there for. It was expensive and they made me wait a lot. it seemed that they were way too busy for the staff that they have. Fue mi primera vista pero estoy muy conforme con la atención. Muy buena doctora y amable lastima k espere 30 minutos por la asistente de ella para un tratamiento al final valio la pena. They don't know what they are doing.. Staff is useless. I like the medical stuff very polite and nice the customer service could be better, at the beginning I thought they were rude but It seems they are too busy they have a lot of work and not people enough tocover the work in the customer service aspect I would think. They had way to many people all set for the same time. I watched two walk out because the wait was so long. They should treat their patients time with more respect than this. Also I filled out the forms online but still had to fill them out there as well. ZocDoc should remove this feature form this provider if they are not going to care that a patient filled it out on line. The only thing I didn't like was that I had to refill all the paperwork I filled with zocdoc online at the office over again. Horrible!!! Did an appointment. Missed a morning at work for them not to show up and tell me once I'm there that they only go to that office one day a month and i should drive for 30 minutes to another office. Unprofessional. Honestly I don't even know what to say. It was the worst doctors experience I've had. Rude staff and the doctor herself was off, I left there wishing I hadn't wasted my time by going to begin with. Very poor service. They tell you two go see Dr. in two weeks and when you go, they have you there standing outside the office waiting for them two open the office at 12:00Noon and they showed up half hour later.Then next appointment they didnt show up. Lack up Hygiene, assistant very disorganized, office is dirty, would not recommed. Was NOT please with the service or doctor. She wasn't professional or pleasant. She was yelling at staff in front of clients. It was very uncomfortable. I would not recommend this office to anyone. Fabululist great , will do it again, and will tell others, very happy. The wait time was atrocious...almost 3 hours..completely unacceptable. Outstanding bed side manner, and the staff rocks! The office was run extremely efficient and professional. The doctor's energy was infectious.